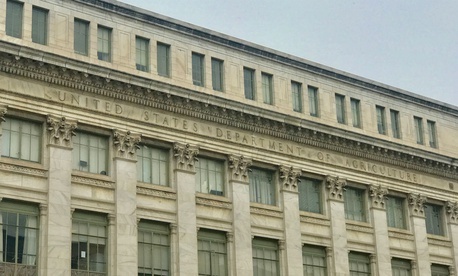 Later this year, employees at the Agriculture Department’s Economic Research Service will vote on whether to join the nation’s largest federal employee union, in an effort to protect themselves as the department considers whether to relocate the agency outside of the Washington, D.C., region. Peter Winch, special assistant to the American Federation of Government Employees’ District 14 national vice president, told Government Executive that he filed paperwork with the Federal Labor Relations Authority last week to move forward with a union election at the research service, which USDA leadership plans to move and realign under the department’s Office of the Chief Economist. Winch said that although it is not necessarily predictive of the results of a union election, which he expects to happen by June, more than half of the proposed bargaining unit signed onto the petition seeking union representation. One Economic Research Service employee, who asked to remain anonymous citing potential retaliation, said they hope that with a union’s backing, they can shed light on the department’s process to relocate the agency. Although the plan to relocate the agency outside of D.C. and reorganize it under the Office of the Chief Economist is not yet final, and has at times faced push back from Congress, it is already having an effect on morale and employee retention. Correction: The story has been updated to reflect that the Economic Research Service would be realigned under the Office of the Chief Economist, not the Office of the Chief Scientist.